China has one of the ancient civilization and culture known to man to about 5,000 years now and still in existence which has been imparted into their new era of Modern Clinical Medicine. MBBS means Bachelor of Medicine and Bachelor of Surgery, the degree conferred to medical students upon graduation of the undergraduate program. The avenue to study this MBBS course in China was opened to International students in the year 2002. Welcome to study MBBS in China a land of so many opportunities, at Hebei North University of Medicine found in the northern part of China in a city called Zhangjiakou. The fee structure of the university is very affordable and it is divided into different categories for each student. Firstly, there is the Tuition fee which is of the constant amount in every year, there is medical insurance paid only once a year when a student joins the university and used incase of any medical emergencies. The Registration fee, development and admission fee paid by the student at the beginning before joining the university for medical study, Visa processing and residential permit fee also paid each year when the student wants to extend his or her visa. The other type of fees includes the application fee and deposit fee. All the above fees have specific values and if you are interested in the amount, you can contact us or leave a message. If you are looking for a proper and fit country for MBBS major, then China is eligible for the major, there are universities like Hebei North University which receives students of different ages, from the age of 18 to 25, with high pass marks in their certificates and who have a knowledge in the science subjects. There is also a pass mark which must be acquired by the students know as the transcript, where by above 60 scores in all subjects, you will be allowed to join in a medical university in China for studies. Often students apply overseas, in China for the continuation of the MBBS major after high school or advanced level. Hebei North University is one of the most famous Medical universities that admit international students from different countries in the world. To qualify for admission at the university, an applicant must have a pass mark in all the science subjects such as Biology, Physics, Chemistry and Mathematics in the advanced level of education with grades of `A`, `B`, `C` and with less or no `D` score at all. All the score must be in a single and original certificate from your previous school, university or education center. Just like any other country, China has a strict age limitation for students to study at certain particular courses. MBBS course is one of the majors with age restrictions in China and especially at Hebei North University found in Zhangjiakou Northern part of China. The Age limit to study MBBS at Hebei North University and any other universities in China is from 18 years old to 25 years old. The age limit is kept for international students because of various reasons and one of them being, the stuff of the university to be able to control the students` behavior in hostels, both on and off campus. The course of Medicine has been one of the greatest in operation wise when it comes to China, because it has proper equipment for treating and quality services offered in hospitals. The universities in China are proper and fit for delivering the MBBS education to their students, be it foreign or domestic students. Hebei North University is an example of the best and eligible university for international students, as it provides the medical training in English language. However, the students are also taught the Chinese language in their first year for their social benefit in conversation with the natives of the country. The international students at Hebei North University have a chance to build up one community of leadership and organize different events and programs of which all are supported by the university stuff and coordinator. Hence the above makes the university and MBBS in China eligible for the international students to study and graduate with top results. Hebei North University has been one of the favorite medical university for the Indian students, not only Indian but more of the Asian students at large. Since 2009 there have been a lot of Indian students that made admission to study medicine at Hebei, due to the fact that the university takes good care of the international students with security and accommodation in hostels. It is eligible to the Indian students because the university uses English as the main language of communication and learning in the class lectures, it also has made a lot of the foreign and Indian students succeed in their career of medicine from the Bachelor to masters level. Since the opening of the university in China, all the students from India who joined to study MBBS in the university have had a success in the career and some of the students from India become lecturers at the university. One teaching in the second year and the other doing lectures for the fourth years students. Hebei North University is eligible for the Pakistani students in so many different ways, as the students will find and have a company with other foreign students in the university, in the long-term build up a team and work together in the social and economic affairs. The MBBS education is proper for the Pakistani students, because of the syllabus used in class which is not different and very easy to catch up while in class. The university also has a tendency of updating the lessons every year so as to make the knowledge up to date for the new coming foreign students including the Pakistani. The university has scholarship programs which are offered in different ways, one being at the end of each year to the students who are determined and who do well in class and maintain the attendance. Another is given to students by either the home government (Pakistani) or the China government to reduce the cost on either accommodation or tuition fee. There are several ways of which students use on how to apply for MBBS in China universities. Hebei North University does not have so much process for students during the time of application, because the university aims at saving time for the applicant. An applicant could obtain a form online or visit a nearby admission agency for the application. There is not much on the preparation tips of MBBS because the student has to be mentally prepared for the study as it has a lot of knowledge to acquire. Mainly when coming to China, after obtaining an admission at Hebei North University the students must come with all the major documents that will allow him to be assigned at the university. Some of the major documents include his or her passport with a valid Chinese visa, the original school or university certificate with qualified pass marks (result transcript), an admission letter was given to an applicant by the university, because that will prove if you either got an admission or not and a non-criminal record certificate. MBBS major at Hebei North university is one of the greatest courses to study in China in such an advanced university. Due to that being said, the university has some few exams for the foreign students before they join to study for medicine. You should know that most medical universities in China including Hebei North do not have exam test to give to their students. Instead, the university examines your non-criminal record, the whole body checkup of your health, other examinations include the resulting transcript whether you have met the pass mark required by the university and lastly the finance transcript or letter. The China universities are very well organized in providing the medical education to international and domestic students, also most of the universities like Hebei North University allows more students from the foreign countries to come and study medicine. In China scholarship is easily obtained in the medical universities, and that's the reason most students pick the country for studies, the scholarship can be obtained in several ways, either the student can perform better in class and obtain the scholarship or can simply fill the form from the office to ask for one. Also there is full scholarship and half scholarship and they both operate differently. The Hebei North university of Medicine found in the Northern part of China, which has a large population of international students from different countries all over the world, has been offering the scholarship to most of the students in class from the first year students to the final year students. The scholarship program at Hebei North is offered every academic year and most of the students who receive the scholarship are chosen by the class coordinator due to the best results showed in class and best attendance and discipline in class. However, there are other different types of scholarship which are given to students by the government of either their own country or China. Welcome to study in China at Hebei North University where they provide scholarship for any student in demand, to make the studies and living expenses affordable to all students. The university offers scholarship to the best students who perform well in class and there is a government scholarship as well. The scholarship from the government for MBBS students at Hebei North is given either full or half. The full scholarship is when the student does not for any expenses including the tuition fee and half a scholarship is when a student pays for either accommodation and hostel or tuition fee alone and the rest is done by the government. MBBS in China has been a demand for a lot of foreigners from different countries allover the world, Hebei North University has been able to meet the demands for these students, especially from the Asian continent with more of a population on Indian and Pakistani students. The Pakistani student scholarship is given with the same concern just like other students from different countries. Such as best class performance, attendance and discipline are awarded with the scholarship at the end of an academic year or the last semester. They can also obtain the full or partial scholarship from the government, to make the total cost and expenses of living in China affordable. The medical universities in China are vey well organized to provide education and monitor all the students studying in China, the universities such as Hebei North University in Zhangjiakou and many more in Shanghai and other popular cities like Guangzhou, Wuhan, Xi`an etc contain the international students who are very active in social acts. Study MBBS course in China for the year 2018, to get the latest updates of the subjects at the universities and join the country which is popular to make students have a success at the career or medicine. Some of the universities like Hebei North Universities have a lot of seats for the students who will graduate in September (September intake). You don't want to miss the chance of studying at a university with more international students and build a strong relationship with students around the campus. Hebei University as of 2018 has a new package of scholarship for its students who can register earlier in July to mid-August. The university provides a Chinese language course for one year which is meant to educate the students and improve their level of language when it comes to communicating with the natives. The study duration for the medicine course at Hebei is five years and the six being the final year of internship which can either be done in China or in any country you want to practice the career from. The University of Hebei since its opening until today has been known to make the students achieve their success and most of them in a duration of six months time before they are assigned to work. Medicine is one of the most popular courses in the world, due to the level of importance and application it holds in China as a developed country. Students come from different places of the world to acquire the knowledge treating patients, caring and making machines to make the work of treating easier. The amount of time taken to graduate to this course really depends on the level of achievement a student wishes for. At a bachelor degree level of medicine, it takes six years of theory and practice to get a degree in medicine, followed by masters and PHD which takes 3 and 2 years respectively in China. The admission process is a very easy process which is divided in to four main steps. These are Pre-application, Application, Post-application and Transition and they are used either you want to apply for a short or a long course to study in China. The Pre-application is where you state or choose MBBS as your main course for study and you choose to study in the Chinese university. The Application involves the paper work and feeling all the personal details and other major details required by the university. Post-application processes involvesyou waiting for a feedback after collecting all your documents to the desired university. And finally Transition, this being the process where after your arrival in China, the university or agencies help you to get all the documents necessary for your stay in China and registered as a student in a particular medical university. The colleges and schools are offering education services to all the international students who are interested to join China for the study of medical courses. Study in China and get the cheap and reliable offers such as scholarship programs whereby the tuition fee will be affordable. China universities offer quality education and the country's development allows you as a foreign student to be exposed to a lot of experience and operational techniques as a medical doctor. Also, it is a country in which you can connect with a lot of other people from different countries who will help you have time of your stay in China. In order for the international students to join China medical universities, they have to contain a clear criminal record and that prove they are students by having an original school or college certificate. China over the years has been training a lot of medical students making it the one among the best countries to study medicine and graduate as a medical doctor. The courses found in China are simplified in ways in which a student can learn easily but with much more attention and serious in class. 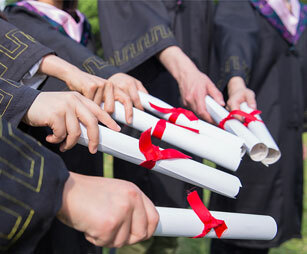 It is a six years course for the bachelor degree, the example of the university in the Northern part of China which has more Indian students and from other international countries as well, the university has produced a large number of successive graduates with excellent discipline and ethics in the society. The universities in China have made it easier for all the MBBS students from India by ensuring that their visa is renewed every year, and furthermore, the process is not done by the students, rather by the coordinators of the class. That way, a student has enough time to complete his or her personal activities. The students from India who have been studying at Hebei North university of Medicine found in Zhangjiakou China have praised the university for having an excellent education, which has upgraded their knowledge in medicine. There are a lot of reasons as to why the Indian students in Hebei North University think that the MBBS education in China is Valid. Firstly, the university has the foreign teachers who teach some of the subjects, example some teachers are from Pakistani hence the teaching curriculum experienced by students at Hebei does not differ with one n India. The MBBS education in China is valid in India because of the follow-up and consistency of the lecturers and coordinators in the university and how they make a follow up on every student. That way all the students at the university get to have good results at the end of each semester, making the general university performance higher. China as we see today is way much different from China we used to know about. According to some thinktanks from all over the world by the year 2030 China will take over the world economy by a great margin. China has become the next destination for the overseas students from all over the world after their high school education. China has always been in good relation with Pakistan and the friendship between these two countries has gain a great reputation. The two countries share many common interests one of which is providing the education to the seekers of both the countries. China has developed a chain of institutions to achieve this goal, these universities are believed to be not only the best in the Asia but also among all other universities of the world. The Chinese universities are competing with other top universities of the world. It is your golden chance to be a part of one of these universities today. The universities are having years of experience in dealing the overseas students. China is not only providing a standard education to the overseas students but also the tuition fee is quite affordable too. The Chinese government is always striking to do better for the youngsters in the field of education as it realizes the importance of education is far more than anything in this world. Here in this article we shall discuss the “cost of MBBS in China in Pakistani rupees” and every other factor that influence this. The currency difference in the two countries i.e. Pakistan and china is not much as compared to other countries. This minute currency difference enables the Pakistani students to study in china in some of the leading universities without any economic burden. According to the present day, 1 RMB is equal to 18 Pakistani rupees. On averagely speaking the cost of MBBS in China in RMB ranges from 16,000 RMB to 50,000 RMB, However calculating the cost of MBBS in China in Pakistani rupees is 2,60000 to 9,0000 PKR. The above mentioned value is for the comparison purpose only and may vary according to the currency difference. In china the best part, especially for the students is that the daily expenditures are not much. Things for the daily life use are easily available around in the stores and are quite affordable too. On average a student studying in the Chinese university has a monthly expenditure in between 25,000 to 35,000 PKR even in the big cities like Beijing and Shanghai. The above-mentioned value may vary from person to person depending upon the way of lifestyle and expenditures done on daily basis. Accommodation to the overseas students is provided in the form of hostels and dormitories with every facility provided to the students in order to help them spend a comfortable stay in China. Talking about the cost of MBBS in China in rupees is greatly influenced by the accommodation but in Chinese universities it's not a problem. The accommodation the hostels and dormitories are affordable ranging from 90,000 PKR to 180,000 PKR per year. The hostel and dormitory facilities include modern day facilities like internet connection, furniture, and separate toilets. Some of the students tend to live outside the campus premises in self-rented apartments, however, it is well observed that the students living outside the campus premises have relatively more expenditures as the bills, rent and other unnecessary expenditures adds up. The students living outside the campus premises have to register their address with the nearest police station as well as with the administration of the university they are studying in. The accommodation expenditures in the self-rented apartments vary from place to place and the size of the apartment. The apartments in big cities like Beijing and Shanghai have more rent as compare to the apartments in the other cities. The scholarships awarded to the students are mainly categorized into two types i.e. one which is awarded to the masters and doctoral degree program students and is in the form on monthly allowance however the other one is provided to the students once in a year and is around 90,000 PKR and this type of scholarship is basically awarded to the bachelor's degree students. Another factor that makes China the best place for the overseas student especially from Pakistan is that the cost of travelling within China is not much. There is a network of well-developed of trains and busses that connects the cities. In big cities there are subways, that saves your time and are not even costly. Moreover with a city the three are taxi’s and busses that takes you to your destination in a very affordable price. For a taxi than runs on meter, the fare starts from 107 to 120 PKR per Km. We cordially welcome all the students from Pakistan and be a part of one of the leading universities in china and make a better future. All the money mentioned in the articles are used for the comparison purposes and may vary according to the international exchange rate fluctuations. The MBBS course in China is one of the hottest majors and some others include Business and Engineering. These courses are well known of making a lot of international (foreign) students come to China for study, there are also other reasons that push most foreign students to come study in Cina for the MBBS course. The MBBS course structure is one of the reason because it may differ a lot from the other countries and China. Another reason being the MBBS course information of which most people or students would like to get access to the information in China. The MBBS course time, here the study duration to complete a bachelor degree in MBBS is six years and there is a different time for masters and PHD as well with other countries. The China university have proven a lot over the years that, their education in MBBS course is feet to train anyone to success, and this is proven by the number of foreign students joining in the country to study medicine. Each year China universities of MBBS signs over a thousand international students from different countries through the March and September intake. The MBBS course details provided are so advanced in the China university, making an attraction to the most of Bangladeshi students, plus the life style in China and the amount of opportunities has made it valid for other students, also the MBBS course syllabus which in China is updated in each year and there is access to all the main information in the quality libraries of China universities with an example of Hebei North University. The MBBS course in China is valid and a success for the Pakistani students as many of them have been saying over the years, a big number of Pakistani students have taken an admission to China universities of Medicine and one of them being Hebei North University. China has the variety of branches or the MBBS course list as optional studies for students to choose. The MBBS course outline in China is also another attraction and validation for the Pakistani students, because, during the first year of study, all the students are introduced to the system and outline of the whole medicine course making it easier to peak which career in medicine to follow. Every student who is planning to pick medicine as his or her career must be ready to put all the time and dedication on studies, as the theory part of it has too much content in five years and the practical apart is complex in lifetime. With hard work and experience, it will become easy and very interesting major. The first year MBBS are supposed to concentrate more on the Chinese language because, in the first year when you come to China, it is always hard to speak with the Chinese due to the fact that a large population of the natives in the country does not understand English language at all, hence after basing more on the Chinese language in the first year it will be easier for you to express yourself and communicate your needs to the Chinese people. Another basic tip for the first year MBBS student is that, make sure to stay close to the lectures and coordinators in the university, that will favor you when it comes to learning in the class, building confidence to live a good life in the University since it is the first year. It is best to learn from the seniors in the university campus because they will give you a basic knowledge and introduce you to important friends or social activities both in campus and out of the campus. The second year of MBBS is where there is more seriousness in the medical lessons, both theory and practices and each academic year consists of only two semesters. Therefore the students in the second year should make their best to pay attention in class and follow up the studies daily by revising through their books and notes in order to catch up with the content in class. Apart from hard studying and revising, the second year students should also make sure their attendance is regular in class and to all the lessons. This is because with proper attendance you will not miss any basic knowledge furthermore a proper attendance can result into winning a scholarship, which is beneficial to your economic status. By the second year while in China you should be speaking fluent Chinese with the other natives of the country as this will help you be an expert in the language, which is very beneficial. The final year for the MBBS students prepares you to an advanced level of medicine, therefore you have to study hard and do more private classes and follow up in the daily lectures. For the better study in the final year you should form the study groups with your classmates, that way it becomes easier to review the subjects and each other. When it comes to the practices for the final year, you should make sure to be active in the lab, also attend seminars with the best doctors and famous professions, because that will increase your sense of understanding and struggling for the better results. While in China you can be able to visit the university hospitals to practice the theory part, while in the hospital you can also learn to interact with the Chinese natives, it is beneficial because you will learn to speak the language and have an experience at the same time. There are so many tips and strategies to do while facing a medical exam, either final year`s exam or the middle semester exams and regular tests and practices. As a medical student, you should understand that all the test and exams really matter in your daily performance, because they are to determine your ability and performance as a medical doctor. By working with your classmates and having private studies during the exam period or working with the teachers will make you have a nice performance because the some of the questions revised and the medical complications solved can appear in the test or final exam. It is very risky and dangerous to cheat in the exam hence a student should work alone because once caught by the supervisors you might be qualified from the whole course and that will lead you to take a whole new career of your education. Most of the students who finish and graduate from the MBBS major have a question of where to go and how to start the practice of the career. It has often been a wonder for many students, but China has all the opportunities for you as long as you are fluent on Chinese and you can work hard, you have nothing to worry about because the universities in China have an education system and curriculum that allows you to work in many countries in the world. 1. China has been a country that supports education at a higher percentage especially influencing more foreign student to join in the country and study different majors in education. The country shapes students to social and positive ethical behaviors. 2. The universities in China have scholarship programs that make students pay less school fees or accommodation, all to make them study at low cost no matter the financial state of a student. 3. The medical education system in China covers so many areas and allows students to practice medical strategies at early levels, to increase their experience. With the advanced tools and hospital services laid out for students practice. 4. Getting a degree, PHD or Masters in China on medicine course will put you at a position to work anywhere in the country and out of China as well, since China is known worldwide. 5. China being the land of opportunity and exploration, makes it beneficial for students to study MBBS as they can travel around the country for tourism and working on different projects that contribute to student`s financial state. 7. Studying MBBS in China will leave you with the Chinese language ability, where knowing more than one language can make you express your self and reduce the language barrier. To add up to the benefits of studying in China is the competition between students. You can either choose to study any career after completing the MBBS studies or pursue with MBBS on the practical level in China, either way this will contribute to your experience and extend your stay in the country. The universities in China have the best teaching experience and furthermore with too much competition between the students, both international and domestic. Once you choose to continue with medical practice in China, then you have to make a follow up on the Chinese working visa in order to be allowed to work in China as a medical doctor. The country has however so many choices in the career of medicine with each, their period of study to specialize. China has been viewed as one of the fastest developing countries in the world, in every sector and education is one of the most outstanding sector, the value of education keeps on increasing daily that's why more students from the USA and other international students get admission to study medicine in the China universities. A degree, masters or PHD in China can make a medical graduate practice his or her medical Career in the US hospitals after an internship. The degree of medicine in USA and a degree of the same major in China have no much of a difference other than just experience from the different countries. The MBBS degree from China is very valued in India as a lot of the Indian students have been following up on the Chinese MBBS curriculum and most of the students have been joining China all the way from India just to study and be educated on medicine with the Chinese experts. The Hebei North University is one among the university with a lot of Indian students who have been admitted to study with other international students. Over the years, the success of most students has been very good and has made the University of Hebei North to be the competitive university in China. There have been a number of students admitted in China for the study of medicine courses. The education from China universities is very highly rated by the international students, also there are different opportunities for the Pakistani students such as getting scholarship programs, which makes study at a cheaper cost. The validation of China MBBS degree to Pakistani students is the certificate which can be applicable in Pakistani and other international countries anywhere in the world. China also offers other study programs which take less time to complete the language course which can be done from six months to one year.